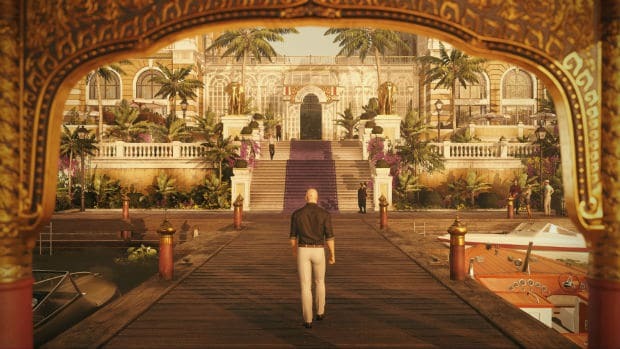 Now that Hitman: The Complete First Season (henceforth Hitman) is well complete and on disc, Io-Interactive needs to be applauded. Their attempt at making Hitman go from a single release to a staggered one that is more of a service has been successful. Hitman is not only one of the best stealth action experiences ever but it is also a game that keeps giving. Over the last year, I’ve reviewed multiple episodes and the final disc release is only held back by some stupid decisions from both Io and Square Enix. I’ve covered Paris, Sapienza, Marrakesh, and Bangkok already in previous reviews so this one will focus on Colorado, Hokkaido, and the complete package. 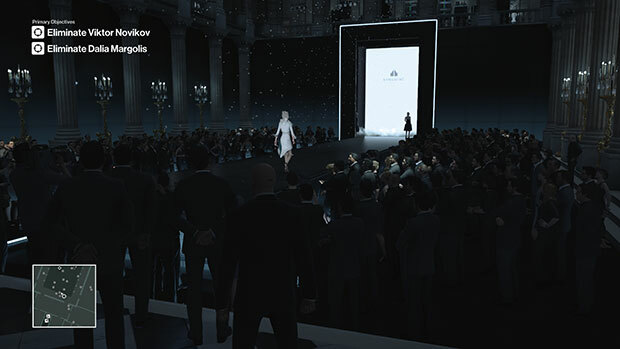 The full disc release includes every location, community created piece of content, and future elusive targets. Colorado is a very interesting location and probably the one I found most difficult. You need to take out four targets in a more horizontal area. Things get harder because the location is pretty hostile and you can’t just take out someone and safely hide somewhere. I like how you are encouraged to take on various disguises here more out of necessity than convenience. Stealth is super important here. I’d say the difficulty and some design elements of Marrakesh are a base for this level. Aside from the difficulty my biggest problem with Colorado’s Freedom Fighters level is the visuals. They are pretty bland compared to the gorgeous Club 27 in Bangkok. Colorado also has the maximum story expositions so far and I still cannot get myself to care about the story in Hitman. Just release more episodes in different locations with lots of challenges and I’ll be happy. With Hokkaido, Io-Interactive clearly saved one of the best locations for last. This remote hospital on top of a mountain is the best location in Hitman after Sapienza. Not only is it gorgeous to look and pan around but it is also very interesting mechanically and in level design. The atmosphere and multilayered nature made it a joy to replay. Situs Invertus has you eliminating two targets. One of them is someone you know well. While this is half the amount of targets as Colorado, Hokkaido outshines it in every way. I love the security door system in place that unlocks doors depending on what you wear. Hokkaido also has you starting out without any equipment. Not even coins. You know how much I love throwing coins around in Hitman as a joke. It has you relying on your current location for everything and the opportunities are great. Sapienza and Hokkaido are almost enough to justify the full season but the rest only add to the quality content. While this is the full disc release, it isn’t free from problems for physical disc buyers. If you buy it on PC for the nice looking Steelbook, you don’t actually get a Steam key inside the box. You’re forced into using a disc drive and entering a code to generate a Steam code while connected to the Internet. This is pretty stupid. If you decide to buy it on console, there’s a nice 10+ GB patch waiting for you on day one. I had hoped they would include everything on disc since this is a late disc release of something that has been ongoing for a year. The other problem for new owners is the career section has a full list of elusive targets you missed for not buying Hitman at launch. I don’t understand why new comers need to see content they have missed instead of highlighting what is coming in the future. 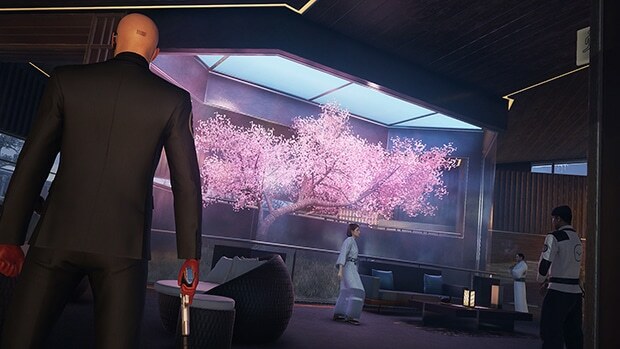 Overall Hitman: The Complete First Season is a fantastic next generation sandbox experience. It has tons of content and the model has worked well. Releasing episodes with at least a month in between them encourages people to try out new things and unlock more modifiers to an already great level. Io-Interactive has done a fantastic job with everything but the filler story content. I can’t wait for Season 2.